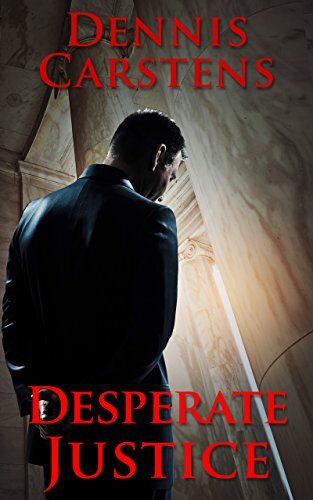 Click here or type in http://geni.us/XBYMh into your web browser to pick up your copy of Desperate Justice in the Amazon Kindle store. Dennis Carstens was born Worthington, MN a small town in the Southwestern corner of the state near South Dakota. He has lived most of his life in the Twin Cities of Minneapolis and St. Paul. As such he is a member of the long-suffering fraternity of Vikings, Twins, Wild and Timberwolf fans. He received a BA from the University of Minnesota and his J.D. from a highly respected private law school, William Mitchell, in St. Paul. He is also a veteran of the USAF having served during the Vietnam war but was among those fortunate not to have been sent to Vietnam itself. I try to create a story that is entertaining, interesting and most importantly, thought provoking. I want to create something that gives the reader a legal, moral or ethical dilemma to think about. In doing so, as in real life, I may not have every little detail wrapped in a nice, neat bow at the end. However, I do believe the reading experience is well worth the ride. I, myself, am a big fan of the mystery/legal courtroom drama genre. I have read almost all of the “big name” authors and most of them, not all, leave me wondering if they have ever been in a courtroom. Ever actually represented a live human client and most importantly, ever tried to make a living as a lawyer. I was a practicing defense lawyer for almost twenty years and as such, I have a lot of experience to share in my books. The main stories are fictional but a lot of the anecdotal cases Marc Kadella handles are real life cases and added for comic relief. 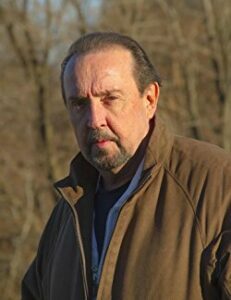 You can visit Dennis’ Amazon author page if you click here or type in http://geni.us/dennis into your web browser.